Hotel Attica 21**** is a modern city hotel in La Coruna offering 160 rooms in an avant-garde setting, designed to satisfy even the most demanding guests. It is renowned for its personalised service which combines optimum standards of comfort and functionality, forming the perfect formula for any guest. 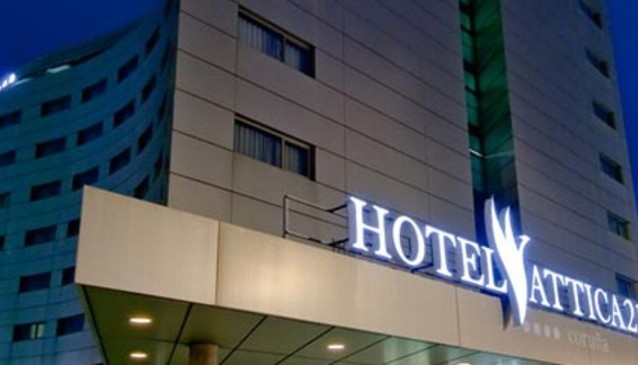 Hotel Attica 21**** boasts a prime location, situated at the entrance to the city of La Coruña, within easy reach of the airport and major roads, as well as the city centre and other places of interest. Hotel Attica 21**** offers a world of comfort and elegance, boasting magnificent rooms and superb facilities designed to cater for the needs of the business traveller, a wide range of events, convention tourism and naturally family holidays at any time of year.